Clare will be looking to John Conlon for another big performances on Sunday. Photograph by John Kelly. 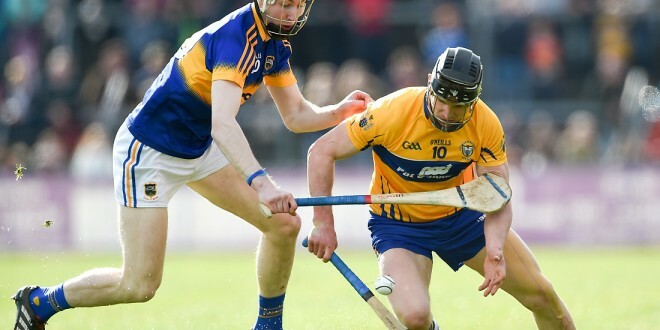 The Clare team to play Tipperary in the Munster senior hurling championship at Semple stadium in Thurles on Sunday is unchanged for that which was named to face Waterford two weeks ago. SUBS:Andrew Fahy (Whitegate), Cian Dillon (Crusheen), Jason McCarthy (Inagh-Kilnamona), Seadna Morey (Sixmilebridge), Mikey O’Malley (Kilmaley), Ryan Taylor (Clooney-Quin), Niall Deasy (Ballyea), Ian Galvin (Clonlara), Michael O’Neill (Kilmaley), Podge Collins (Cratloe), Daragh Corry (Tulla). Meanwhile Tipperary have made three changes to their starting line up from that which lined out against Waterford last week. Donagh Maher, Cathal Barrett and Patrick Maher have all been recalled and they take over from Michael Cahill, Noel McGrath and John O’Dwyer. Their team is; Brian Hogan; Sean O’Brien, Seamus Kennedy, Donagh Maher; Joe Dwyer, Padraic Maher (captain), Brendan Maher; Ronan Maher, Cathal Barrett; Dan McCormack, Patrick Maher, Billy McCarthy; Seamus Callinan, Jason Forde, John McGrath. 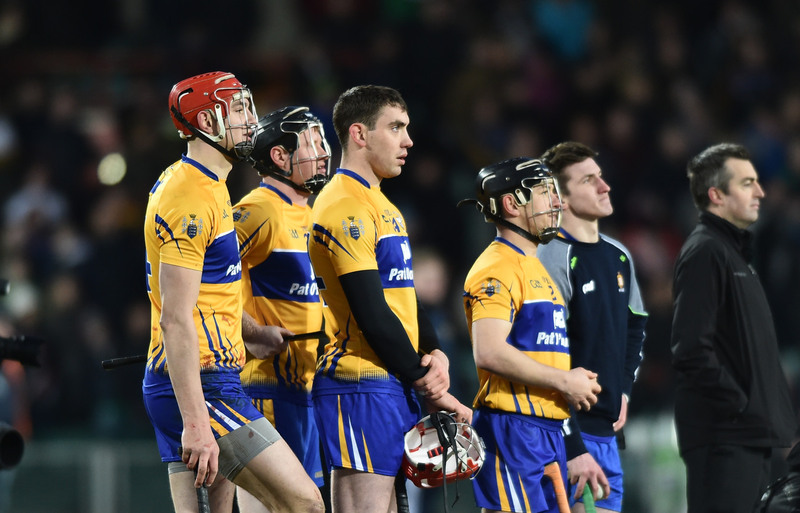 Meanwhile, there are some changes in personnell to the Clare minor hurling teasm for their clash with Tipperary at Thurles on Sunday. The team is Cillian O’Brien (Clonlara); Jack Enright (Newmarket) Adam Mungovan (Doora-Barefield), Mike Gough (Smith O’Briens); JasonGriffin (Inagh-Kilnamona), Dylan McMahon (Clonlara), Darragh Healy (Clarecastle) Captain; Aidan Moriarty (Clonlara) Tony Butler (Doora-Brefield); William Halpin (Tulla), Gearoid O’Grady (Kilmihil), Robin Mounsey (Ruan); Mark Rodgers (Scariff) Keelan Guyler (Inagh-Kilnamona) Shane Meehan (Banner).